Dennis R. Schofield, 76, of Merrimack, NH and a former longtime resident of Nashua, NH died Monday April 11, 2016 at his home after a long illness. He was born in Nashua, NH on Jan. 10, 1940, a son of the late Wallace E. and Helen (Kopka) Schofield. After graduating from Nashua High School in the class of 1958 he went proudly into the US Navy. Following his military service, he came back to work for Sanders Assoc, now BAE for 40 years, retiring in 2000. He had a great sense of humor and loved a good time with family and friends. Dennis loved the Red Sox, Patriots, Bruins and the Nashua Silver Nights. He was a former member of the Nashua Board of City Squares. In addition to his parents, he is also pre-deceased by his sister, Constance Tremblay, his godmother, Victoria (Kopka) Oban, and his mother and father in-law, John and Mary Donnelly. 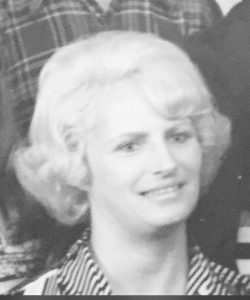 Members of his family include his wife of 51 years, Ellen (Donnelly) Schofield of Merrimack; his son Timothy Schofield; his daughter Victoria Gagnon; and most valued treasures were his grandchildren, Sarah and Mitchel Gagnon; his brother and sister in-law Dale and Joanne Schofield; his sister in-law, Roberta Donnelly Harris; two uncles, Edmond Kopka and Roy Schofield plus several nieces, nephews and cousins. Memorial calling hours were held in the Rivet Funeral Home, 425 Daniel Webster Hwy, Merrimack, NH Saturday, April 16, 2016 from 1 – 3 pm. A memorial service was held in the funeral home at 3 PM. In lieu of flowers, family requests memorial contributions to Manchester VNA, 1070 Holt Ave # 4, Manchester, NH 03109. For more info or to sign an online guestbook, go to www.rivetfuneralhome.com.